Nikwax's Polar Proof is a water repellent treatment for fleece. 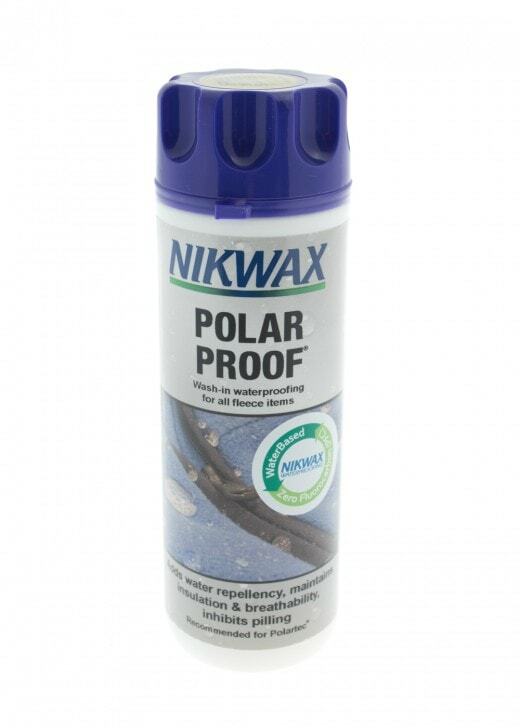 Nikwax's Polar Proof is a water repellent treatment for fleece. The Nikwax Polar Proof leaves a flexible water repellent treatment on individual fibres allowing moisture vapour to pass through, maintaining breathability, prolonging the life of gear and optimising performance in wet weather.